Can I Split My Long Runs During Marathon Training? Can I Split My Long Runs? "I'm training for a marathon and sometimes I don't always have time to do my long run all at once. Is it OK if I split up my long run by running some miles in the morning and the rest at night?" Finding enough time in a busy schedule for the long runs is a common issue for marathoners-in-training. I wouldn't recommend doing it every week, but splitting up your long run mileage can be an option during a busy week. It can also be a good strategy for dealing with high heat and humidity in the summer because you can take advantage of cooler temperatures in the morning and evening. Some marathoners-in-training in hot climates may even run for a couple hours outside in the morning and then run on a treadmill in an air-conditioned room later in the day. Injury-prone runners or those who would need 3+ hours to complete a 20-mile run may also choose to sometimes split their long runs as an injury prevention strategy. By running some of your long run mileage in the morning and the rest later on during the day, your body is getting most of the same physical endurance training benefits of a continuous long run since you're not completely recovering in between your runs. Since you're not sleeping in between your runs, your body doesn't have enough time to make significant recovery. Your legs are fatigued already and your energy stores are somewhat depleted, so you do get some cumulative effect. 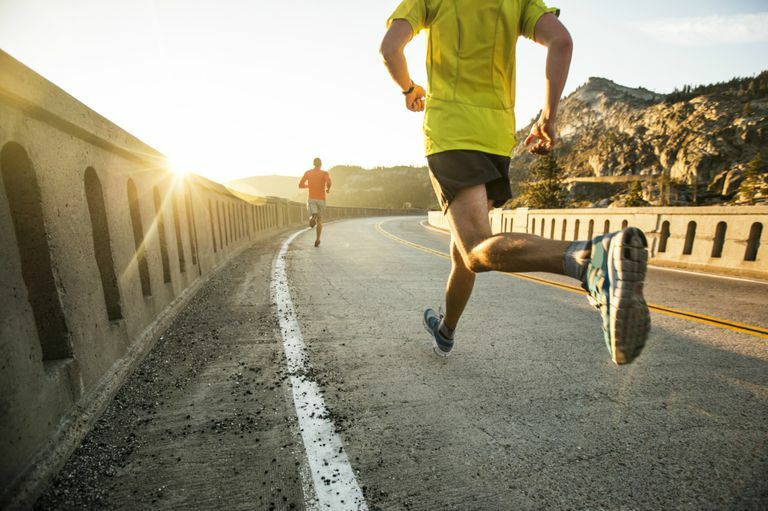 Although there are some similar physical benefits gained when splitting a long run, the overall benefits are not as great as when you do one continuous long run. One goal of long slow distance is to train your muscles to spend hours running and being on your feet, just as you'll be doing on race day. You need to learn to run through fatigue and practice proper pacing, as well as hydrating and fueling on the run. And, of course, it's definitely easier mentally to run 10 miles in the morning and 8 miles at night, rather than 18 miles all at once — which is why you don't want to do it every week. Ideally, you want to run your long run continuously, since that's what you'll be doing in your marathon. But, if it's absolutely necessary, splitting your run once in a while is a great way to squeeze a long run into a busy week. And it definitely beats the alternative of skipping your long run altogether. Keep in mind that if you do decide to split your long run once in a while, you should run the miles all in the same day, without sleeping in between. While it's a good idea to do a recovery run the day after a long run, those miles don't really count as mileage towards your long run. Can Marathon Training Make You Gain Weight?